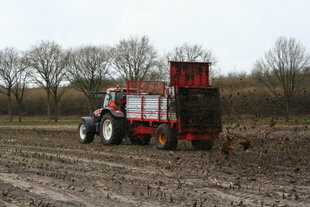 The Calypso is a universal broadcast spreader with vertical beaters, most suitable for spreading manure, compost, lime and garden waste, among other things. 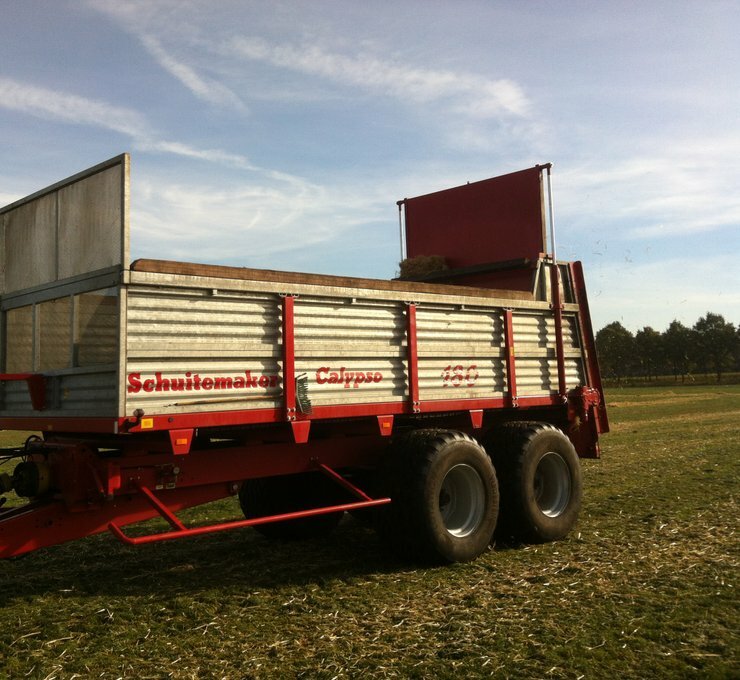 The Calypso 80 is the smallest in the range of products with 8-ton loading capacity. 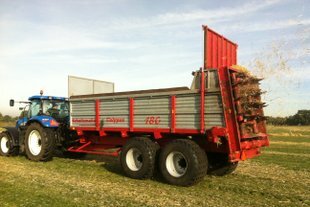 The spreader comes standard with a hydraulically braked single axle. 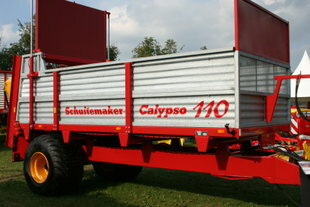 The Calypso 110 with an 11-ton loading capacity is available with a hydraulically braked single or tandem axle. Also available (optional) is an 18-ton track-following or forced steering tandem. 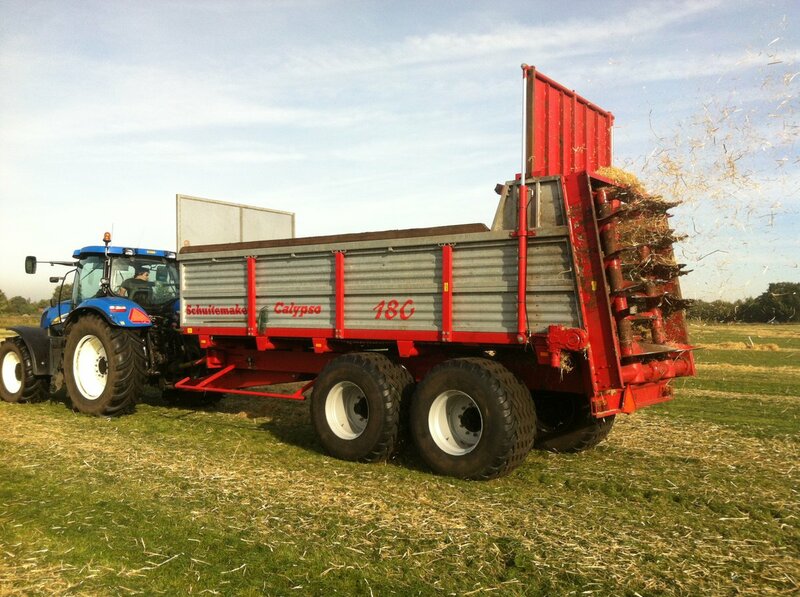 The Calypso 180 is the biggest available spreader with 18-ton loading capacity. This spreader comes standard with a 24-ton fixed tandem. Also available is a spreader with a 24-ton track-following or forced steering tandem. All Calypso models come with an all-steel body, galvanized sideboards and a heavy 4-string deck chain. More information about the Calypso? Click here to learn more about the Calypso.